Figuring out exactly what you want in a school is not a simple task. When you imagine the ideal school for your child, you may picture colorful classrooms, dynamic teachers and a variety of extracurricular programs. But you need to weigh your child`s needs, your family`s values and practical constraints, as well. If you have more than one child, you may want them to attend the same school even if they seem suited for different environments. How do you figure out which qualities are most important when choosing a school? Use this guide to consider all these important elements side by side. You might even invite your child to join you in this process, especially if he has already attended school and has some ideas about what`s important to him. These three exercises help you and your child to select a best school for your child. Using the guidelines below for each column, list the characteristics and qualities you`re looking for in a school. How far can my child travel to school? Do I need transportation provided, or can I get my child to school another way? Do I need before- or after-school care for my child? Does my child have any physical, emotional, linguistic or learning needs that require special attention? For high school, does my child want preparation for a skilled trade? Is college preparation a priority? Are modern school facilities important to me? Would my child be better suited to a small school environment, or would a large school be better for him? Do I want a school with several grade levels, such as K-12, where my child can remain for several years? How important is student diversity? How important are music and art programs? Are sports important? Which ones? Do I want a school where parents are expected to be very involved with activities and decisions? Are foreign language classes important? Which languages? Review each of your three lists and number your ideas in order of importance to you. While all the factors you`ve brainstormed may play some role in your decision, it`s unlikely that any school will have every single characteristic you`re looking for. The goal of this exercise is to clarify which components you can`t do without. 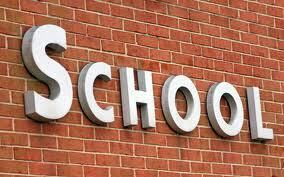 Don`t forget that the best way to find out whether a school is the right place for your child is to visit in person.